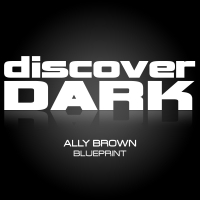 Ally Brown's first release on Discover Dark is deep, intense and hypnotic combining melodic elements. dark grooves and plenty of drive. Cristian Ketelaars remix strips things back for a tougher feel whilst DJ Chuggs slows down the BPM's and opens the track up to whole new genre with his tech house interpretation. 'Blueprint' is available now from Beatport and iTunes.